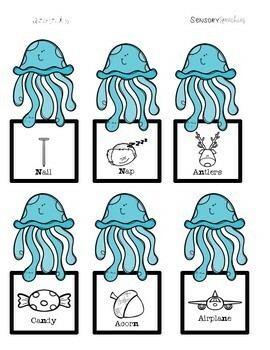 This product contains an under the sea themed set of sensory stakes designed to target alveolar sounds! 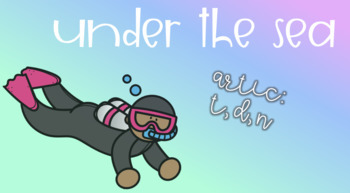 These are meant to be used as activities corresponding with our Under the Sea Sensory Tins to encourage hands-on learning using multi-sensory input. 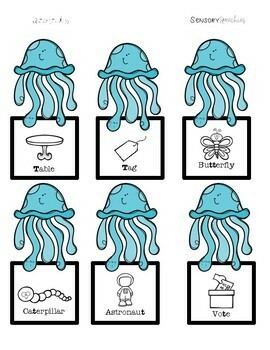 This product includes 72 sensory stakes including pictures with target sounds t, d, and n in all positions of words. 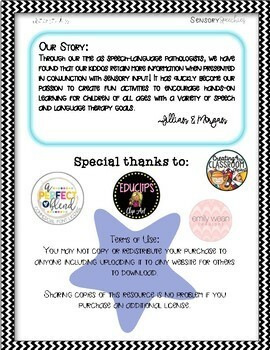 Also check out our amazing Sensory Tins at our website to purchase no-prep, pre-mad tins that correspond with this product! Follow us at Instagram OR Facebook to get updates when we post new products! Thanks for purchasing! Don't forget to leave us feedback so we can update and improve current/future products!